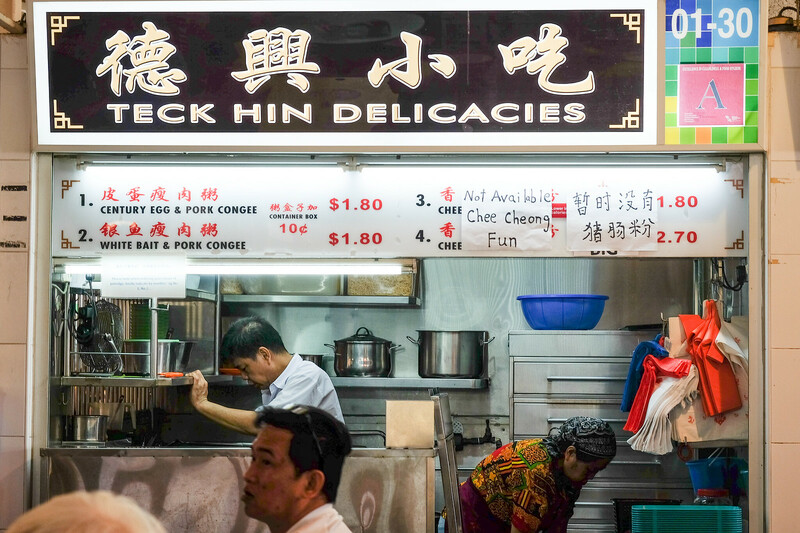 Teck Hin Delicacies, which has been around for more than 20 years, opens at 6:30am and sells out by 12pm. Used to be manned by 3 people (the owner, owner’s wife and another auntie), the stall served 2 different types of congee and handmade rice rolls. However, now a 2-man show, Teck Hin has stopped offering handmade rice rolls. 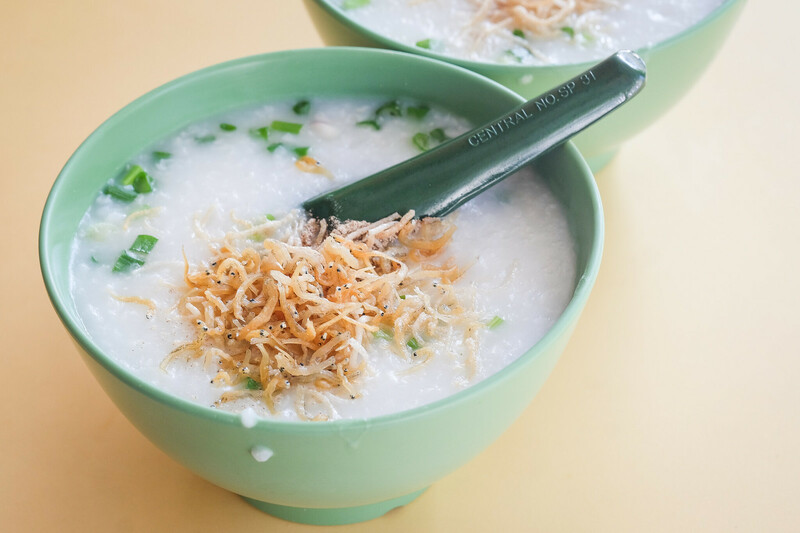 It’s a pity but there’s a real good piece of news —they are introducing a new dish in April known as boat-style congee! If you have not tried Teck Hin Delicacies, you have to. There must be a reason why they only serve 2 types of congee, yet they can pang gang by 12pm! Both congees have lean pork, just that one has century egg and the other has white bait. Teck Hin Delicacies’ congees are incredibly silky and smooth, and I have no doubt that you’ll love it as much as I do. My favourite of the two is the Century Egg & Pork Congee ($1.80)! 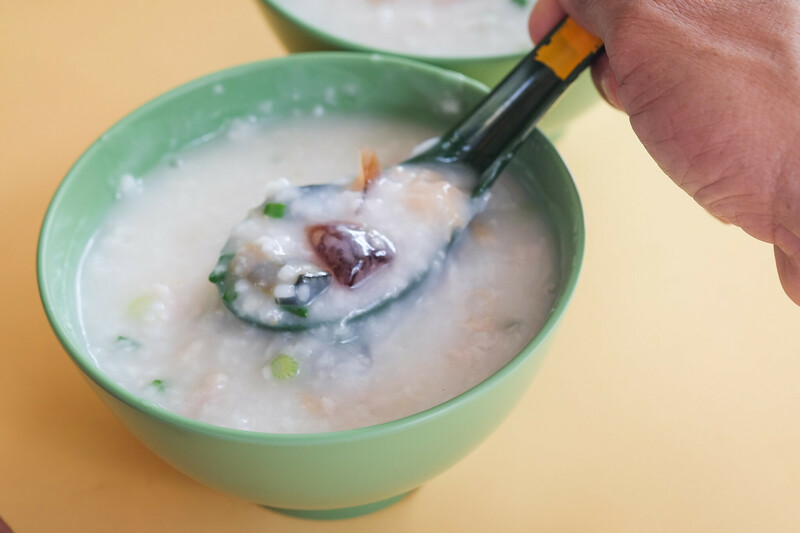 Simply because I love how the consistent and strong flavour of century egg complements the simple bowl of smooth congee. Teck Hin Delicacies’ congee is paired with some pepper and fried shredded crackers. You should try the congee on its own before mixing everything together. The fried shredded crackers makes the entire bowl of congee a little more fragrant, and adds an extra crunchiness. Shiok! The other option is White Bait and Pork Congee ($1.80). The crispy fried white bait add a slight savoury touch to the congee. Do you know that white baits are actually immature fry of fish that swim in groups and are often used as baits by fishermen? Thus, the name of it. White bait is commonly used in Chinese cuisine, and in this case, the fried white bait is the perfect topping for Teck Hin Delicacies’ congee. Good news! 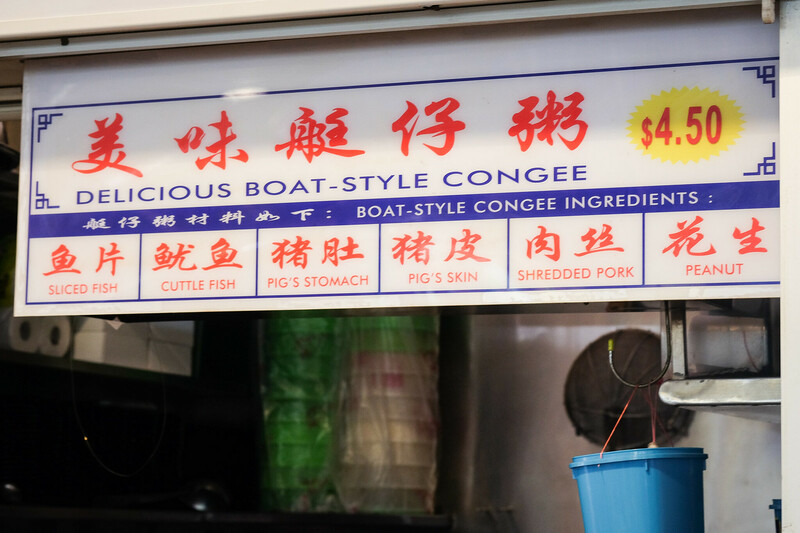 From 1st April, Teck Hin Delicacies will be offering Boat-style Congee ($4.50) which comes with sliced fish, cuttle fish, pig’s stomach (my favouriteeeee), pig’s skin, shredded pork and peanut! Yes, so many ingredients for only $4.50. That will be a very fulfilling bowl of congee! Don’t worry, Teck Hin Delicacies’ original 2 congees will remain at $1.80! Though only $1.80, the portion of the congees is substantial and filling enough! 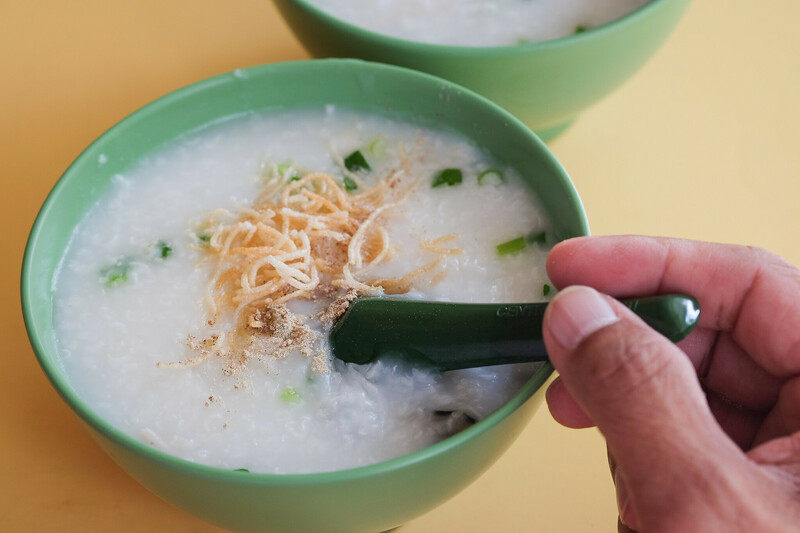 Time to pop by Teck Hin for a good bowl of congee! Opening Hours: 6:30am to 12pm daily.